Mara region is home to the famous Serengeti National Park, Butiama cultural centre, Ikoma, Ngigoti, Gaga and Kilimafedha forts which were used by German colonialists during the world wars and Nyamuswa handcrafts centre. Others are Kibara and Makoko beaches, lukuba, Nyafuba and nyamasanje fishermen villages, mount – mtiro with its famous waterpond that never dries. Other tourist attractions include, mount Kasino in Tarime which has a very deep crater, charibo mountain in Bunda, mount Bungaji with ancient tools, rivers – Mara, Robana, Ikorongo, mori and Grumeti that are rich in fish species, hippos and crocodiles. 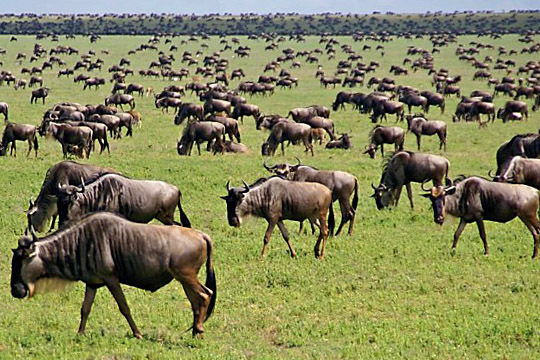 Mara region is also the home of famous Serengeti National park. so visit this park with the status of both the world heritage site and Biosphere reserve. Mount Kasino in Tarime which has a very deep crater, charibo mountain in Bunda and mount Bungaji with ancient tools.